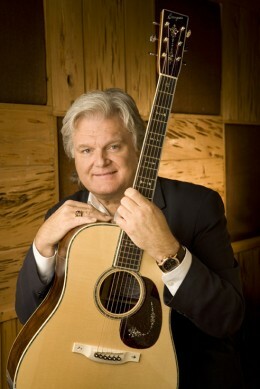 Hard to imagine someone more dedicated to the kind of music that this website is dedicated to than Ricky Skaggs, and it's harder still to imagine a musician with more musical integrity, and power within the genre. All I can say is "WOW Ricky!! THANK YOU SIR!" He's got an F5 Gibson named for him, and a Bourgeois Dreadnought named for him as well - but Ricky can play the fiddle and the banjo quite expertly as well, thank ya very much! Gosh the man can sing great too, what can't Ricky do? I've got clips in here with both Cody Kilby and Bryan Sutton, and by golly I've got clips in here with Bill Monroe too!